Under a conventional approach to indexing links by a search engine, information about the targeted address that a link is pointed towards might be included in a search engine’s index, as well as the anchor text displayed within the links, and possibly even some text near the link itself. The Google Reasonable Surfer model points to the possibility of other information being collected about a link as well, which could be taken together as a whole to calculate how much value or weight might be passed along by the link to another page under a PageRank link analysis model or even in determining how much weight the anchor text used to point to a link might carry. The question, Just How Smart are Search Engine Robots has been asked with more frequency lately, and a pending patent application published by Google shows how the search engine might be collecting a whole different type of link behavior information about links that are found on the Web. Given Google’s move towards building their own Chrome Browser and providing access to web pages via alternative screens such as those on smart phones and other handheld devices and television screens, it makes sense for the search engine to capture this kind of information as well. 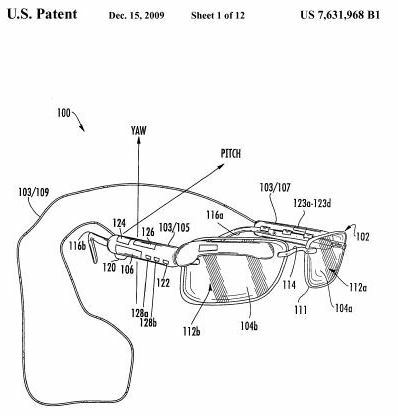 The image from the patent filing below shows sections of links, including target and onclick attributes that the search engine might now be indexing. A rumor surfaced last week that Google would launch a third party commenting platform to rival Facebook’s. Coincidentally, Google was granted two patents this week describing comment systems, and how comments might be ranked under those systems. But the patents appear to describe comments on two different services from Google that have been discontinued. 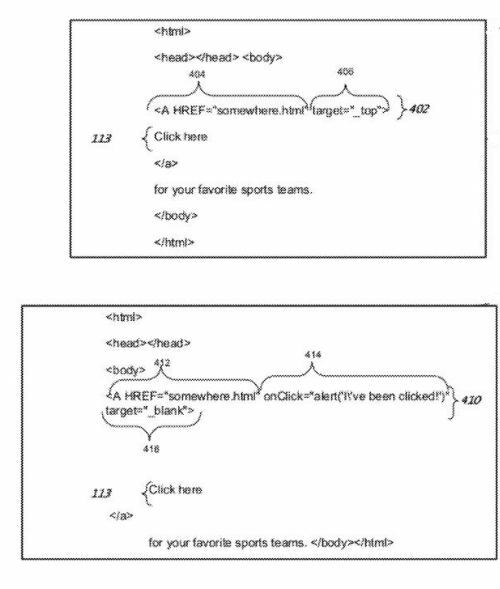 One of the patents appears to involve Google Sidewiki, which had more of a Web annotation service feel than that of a commenting system, and and the other involves comments on Google Knol.